And most importantly, produced content will increase in quality and longevity, as happily returning customers provide more income than those who bail out. Vreo brings all 3 participants— the player, the advertiser, and the developer— of the gaming market together. Its marketplace approach enables easy access and demanded scalability. The PlugIn integration to graphical engines eliminates boundaries of devices, and lastly, blockchain technology provides substantial reduction of ad fraud. We have two different tokens. The one offered in this offering (VREO) can be exchanged publicly and represents what we call “Proof of merit”. The other is used by our platform's customers (VIT) to ensure our in-game advertising solution can be made as transparent as possible. The token mechanics are designed with velocity in mind, and incentivizes to hold the VREO long-term, reducing available market supply.We make each view of an advertisement a unique transaction, therefore anyone issuing, placing or actually viewing an advertisement will perform transactions. This ensures the utmost open and transparent level of economic interaction imaginable today. MeritCoin (VREO) is like a membership access used to access certain benefits from the Vreo marketplace. For example, companies can get a discount on the fees they owe to Vreo if they hold at least a couple of thousands units of VREO. Holding VREO also grants access to more features like our market intelligence, preferential matching and the opportunity to advertise within our marketplace. Developers and advertisers can also use VREO to promote a game to gamers registered with the Vreo marketplace. Each VREO grants the right to advertise to one Vreo gamer a month. Once used, the tokens are locked up for a month; after that, they can be used to create a new promotion. Any tokens that are not sold will be burned. The ViewToken (VIT) can only be attained by Vreo customers, and helps our unique embedded in-game advertising solution remain as transparent as possible. To achieve this goal, we break in-game impressions into fractions if the view is not as favorable as it could be for an advertiser. This solves a big challenge of in-game advertising: the grey area around impressions of doubtful quality. Game developers and advertisers need to foresee their future expenses and income accurately. Therefore, ViewToken (VIT) will be used as a system token that represents a countable quality ad impression that will be stored immutably on a blockchain. The score represented by VIT will be the basis for the calculation of the price to be paid between the game developer and the advertiser. 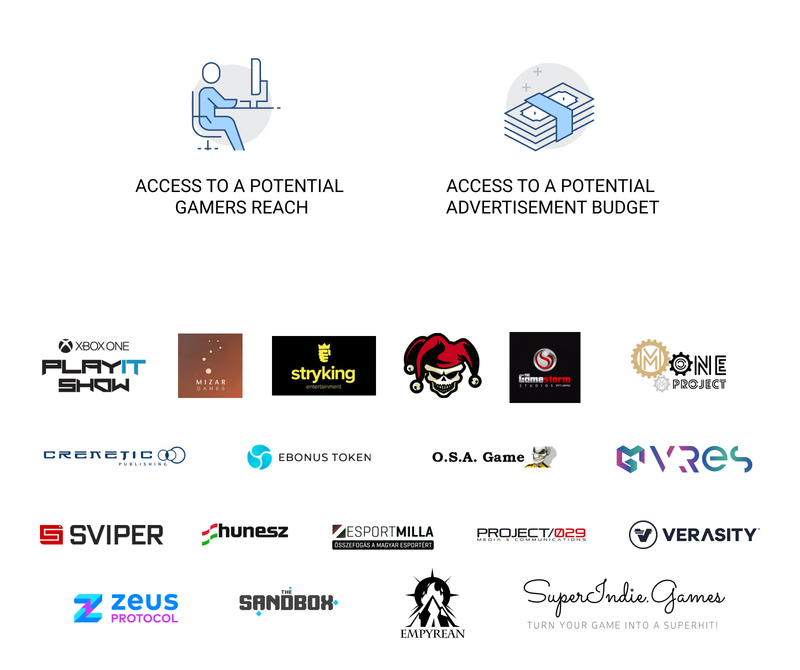 Thanks to our vast network of Launch Partners we have already garnered a notable potential reach of gamers across the world and have built a growing advertisement budget. "This innovation and the easy-to-handle plugin convinced us to use the solution as soon as possible in our games. 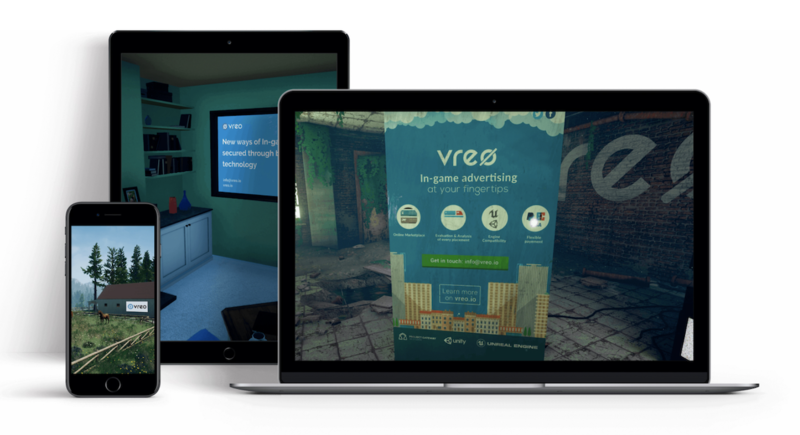 In times of a steadily growing freetoplay games market VREO has the potential to revolutionize the games advertising market and open up new ways to generate revenue." "The biggest benefits we see are the embedded integration of ads as well as the trust&transparency the Vreo solution provides. We are looking forward to toying around with the possibilities Vreo provides and can’t wait to see where the journey takes us!" "Embedded in-game advertisement, a concept so simple yet so powerful - Vreo will greatly improve the way games are monetized!" "We welcome every initiative that benefits both gamers and advertisers. There’s a huge amount of potential still untapped in video games, but this solution helps to shrink the gap." "We wholeheartedly support a solution that enhance gaming experience and help developers retain profitability at the same time." "The mobile games are full of pop-ups and we are no fans of it. However, a marketplace and a Plug-In from Vreo provides us developers finally a great alternative, which is also widely accepted by our community." Note, many of these individuals are solely employed by our German parent company and are not officers or employees of ShapingGames, Inc.
Andreas is a co-founder and CEO. Andreas has a rich history in gaming. Andreas founded Gateway VR Studios in 2016, a disruptive solution for Virtual Reality, gaming and digital content in general. 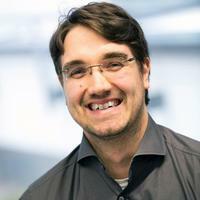 Andreas was also responsible for bringing laser tag to Germany with LaserTag GmbH. Seasoned entrepreneur with strong focus on sales&acquisition and finance. Founded, managed and exited Ensys AG, a 500million+ revenue business in the energy sector. Alfred has years of experience which he is utilizing to enhance the Vreo experience. Egor is the mind behind the business partnerships, having incredible knowledge in the fields of sales and marketing. 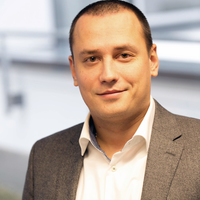 Egor has years experience in the line of business working for DHL and Asbis. This expertise is being used to excel Vreo into the future of game advertising. As a business developer, Egor looks forward to developing the future of video games through Vreo. Ali is the CTO, the chief technical officer. Ali has worked with projects like BlueChips and other successful startups, acquiring more than 18 years of experience in the fields of software architecture and development. Ali also has a vast variety of volunteer experience in event and community organizing. Tino takes on a significant role within the Vreo team. Tino is the head of accounting and in charge of market research. Tino’s role within Vreo is vital when trying to introduce gamers, advertisers, and developers to the best and newest means of excelling performance. Lukasz is a co-founder and Portfolio Director at Iconiq Lab. He worked as an Investment Manager with years of experience in finance, private equity and venture capital after acquiring a BA in Economic Relations and an MS in Finance. Sam launched his first project in 1999. Today he helps us understand all the aspects of distributed systems like the Blockchain, while his focus is on business models beyond coin speculation. Head of the Frankfurt School Blockchain Center at the Frankfurt School of Finance & Management. 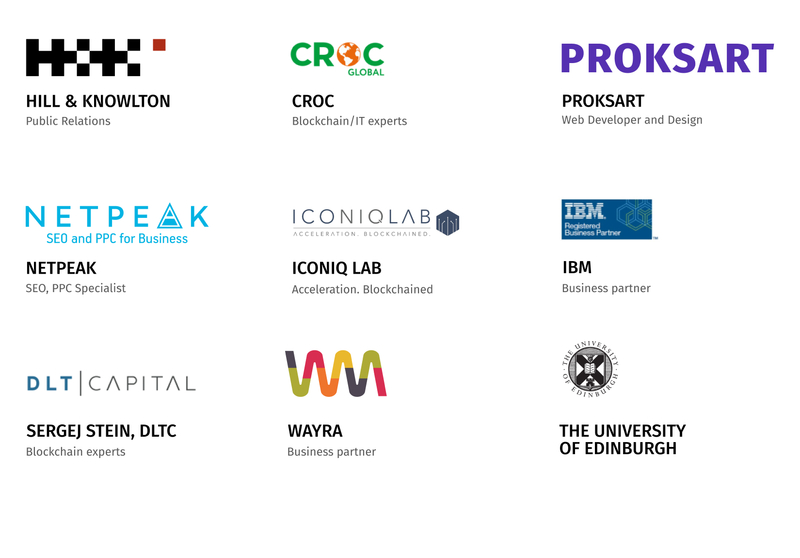 The expertise of Prof. Dr. Sandner in particular includes blockchain technology, crypto currencies, digital transformation and entrepreneurship. 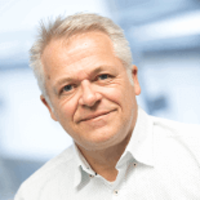 Volker Dressel, CEO of MediaPlier, is a real veteran of the gaming industry. He held various management positions in mobile- and online-gaming companies. With his vast knowledge of brand and performance marketing he helped many startups with their roll out. 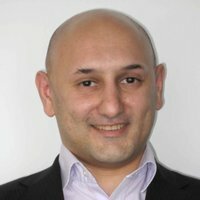 Josef is a technology-driven multilingual business developer since 12 years, with vast experience in the Distributed Ledger Technology investment space and co-founder of 3 successful startups, including Cryptoinvest.es, the biggest Spanish speaking crypto-network. Ralf Heim is a German Technology Entrepreneur and Founder of Fincite and Fincite Ventures, who create Asset Management for a connected, digital world. Before Fincite, Ralf lead the business development of a BI/big data company and built analytical systems for companies/central banks. Fryd is the Director of Business development at Skillz, the leading mobile eSports platform. Prior to Skillz, Fryd lead business development for 8i and Omnivirt, two VR focused companies. Fryd also founded Instapray and was the US General Manager of Social Media Interactive. Mr. Keyness Cheng is working as GM of Global Development in Merculet, focusing on bridging China and overseas, including mobile apps & blockchain projects. He has 8+ years experiences in global business and successfully brought several China products & apps to overseas as well as establishing a China office and building a local team for the US based platform Taboola, signing 100+ partners in 1 year. Barış Özistek led the sale of two successful internet companies in the SHR Group, which he joined as CEO in early 2011, to foreign investors. Since 2013, he has been serving as the CEO at Netmarble EMEA. Mr. Özistek is one of the founders and a board member of “StartersHub”, the largest venture building program that supports startups in Turkey. SICOS guides startups through the process of conceiving, planning, and implementing ICOs. 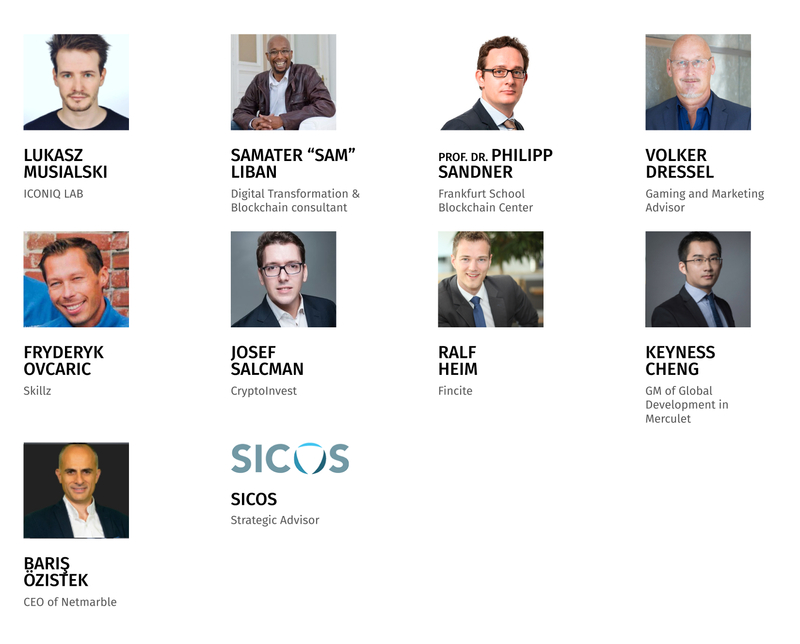 SICOS is primarily responsible for connecting Vreo with relevant partners for developing a token sale platform and drafting a workable business model. The SICOS team helped Vreo in compiling token-sale whitepaper, framing the token economic model and other relevant communication documents, with the best practice in place. Vreo is developing a one stop ecosystem for all 3 major participants to not only simplify and enhance the process of B2B aspects in these industries, but also to involve and reward the gaming community. Game developers and advertisers should gain easier access and bring value to each other. We also believe that the largest entertainment and advertising industry should take the user base into consideration and let them participate through our unique ecosystem. This can only be achieved by combining the value and needs of all 3 sides to establish a system with mutual benefits for all parties. Join us in shaping the games of the future! The smallest investment amount that Vreo is accepting. Vreo needs to reach their minimum funding goal before the deadline. If they don’t, all investments will be refunded. The amount of time Vreo has to pay out your investment in tokens. If the DPA isn't repaid with tokens after that time, it will be payable in cash with interest. Vreo needs to raise $50K before the deadline. The maximum amount Vreo is willing to raise is $1.07M. What can I do with the VREO token? 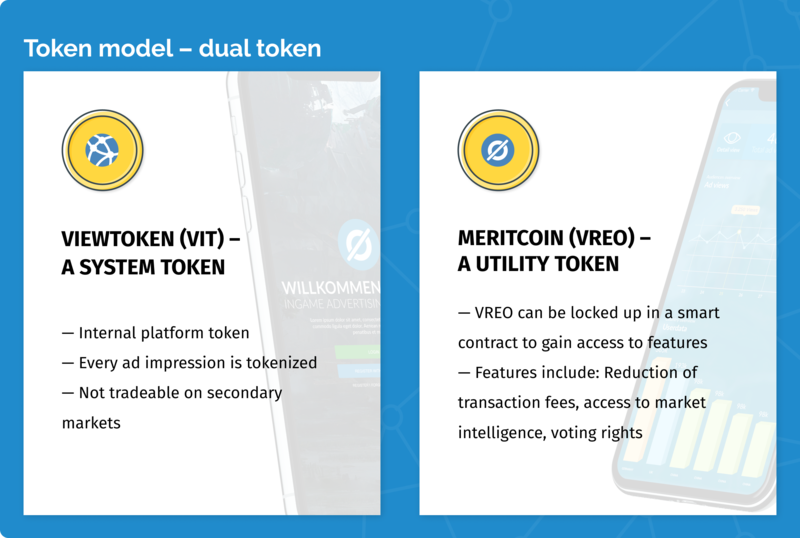 The VREO token entitles holders to certain rights within the Vreo ecosystem, including the rights to use certain products, and receive discounts on and preferential treatment for those products. Tim Draper: Now why don't we go on to the next entrepreneur. Jesse Draper: But first, let's see what's going on behind the scenes. Andreas Schemm: Hi my name is Andreas Schemm, and I'm the CEO and founder of VREO, and we are doing in game advertising secured through blockchain technology. Nearly all of us are gamers ourselves, and we love to play with our friends online, but some of them are from Eastern Europe, where money is a bit more tight. And so we thought why don't we invent a way how we can monetize gaming without interrupting the user experience. What I'm excited about is that we could continue playing with all of our friends all over the world without being interrupted in our gaming experience and we could be sure that [inaudible 00:17:12] dies down, and no more money as being lost on digital advertising. Andreas Schemm: Super exciting to be here with the Drapers because it's a great opportunity to reach people all over the world, and I also know some of them are very interested in blockchain, which is awesome for us, and basically just present our idea to a broader audience. Jesse Draper: Welcome to Meet the Drapers. So give us your pitch. Andreas Schemm: So my name is Andreas Schemm. I'm the CEO and founder of VREO, and what we do is embedded in game advertising. We are gamers ourselves at VREO, we don't like the interrupt [inaudible 00:17:45] or the pay to win or the high up front prices. So we developed a solution to embed ads inside video game as part of the surroundings. More like product placements in film and TV, billboards in the real world, we provide that infrastructure for games, and we use blockchain technology because they want to solve another problem, which is ad fraud. Andreas Schemm: There's a lot of ad fraud going on with 12.5 billion dollars lost every year. Tim Draper: How does the ad fraud work? Andreas Schemm: Like bots and click farms or the fishing websites. Jesse Draper: Yeah, you fell for one of these before. Tim Draper: I'm sure I have. Tim Draper: I'm running an ad, and here are the 500000 times people have clicked on it, but the bot clicked 500000 times, people didn't. Andreas Schemm: How our blockchain solution works is we want to verify that a real person has seen an ad, so we write into the blockchain the metadata of every single ad impression. What game developer, what advertiser, also how long have they seen the ad, how big was the ad on the screen? It's also dynamic billing. The better the ad impression, the more the advertiser has to pay and he only has to pay if a real person has seen it and for at least some time. We don't even have a click-through because we don't want to interrupt the user experience. Tim Draper: You're assuming the advertiser does not want click-through. Andreas Schemm: We do, but that's why we do it two-fold. we know you have seen an ad from where it was on your screen, how big was it on your screen, did you come nearer, and once you go into our marketplace and claim your rewards, which we give you in our tokens, then you get shown the ad again. so the best of two worlds, combined without interrupting the user. Tim Draper: So a bot could go in there and play the game over and over and over and go very quickly straight to all the straight to all the big screens. Andreas Schemm: We have user registration at our platform, and also we do pattern tracking, and if a user does the same routes 20 times a day, or even 20 days in a row, we can track that. So that basically minimizes the amount of money the botters could make. Sanjay Nath: Who is the actual customer? Andreas Schemm: So actually have three. The advertisers cannot reach gamers right now. We introduced it, not only for mobile, but for PC, console, vr, ar as well. The developer gets a new way to finance his games that is not that pesky, I would say. And the user wins because he get some tokens from us for participating, and basically verifying that a real person has seen the ad. Sanjay Nath: If you look at larger players like [Inmobi 00:19:49] and Admob that power the mobile ads, how do they fit in the ecosystem? Andreas Schemm: They come between the game. Basically you play the game, then you watch the ad. Out solution is while you play the game. Of course we are competing for advertisiing budgets, but we can absolutely be used addition and our blockchain solution could even be adopted to other models as well. Tim Draper: Are you hoping that some of these developers look at your technology and say I know, I'm going to create a game that's completely around ads and tokens? Jesse Draper: He's selling an ad company dad. Jesse Draper: But you're thinking we're playing Mario Brothers and like going to get all of the mushrooms. Andreas Schemm: I have a demo actually. Tim Draper: Yeah go ahead, do demo, that'd be great. Matt Wilkerson: Hey chuck, you're from [inaudible 00:20:38]. This is so exciting. [inaudible 00:20:40] breakthrough in all sorts of areas. Tim Draper: So it's audio and video too. Matt Wilkerson: It could be both. Tim Draper: That says Meet the Drapers on it. Tim Draper: I think it's a great idea. Abishek Punia: I feel like advertising is really blossomed in value, partially because you can get customized ads. Because you have access to a lot of data that these ad distributors are able to get. I don't think you can get that same symmetry in a game. While you might be preventing [inaudible 00:21:07], it might not be as effective. Andreas Schemm: We have gamer IDs. So if you're a gamer, and we present to you five car ads, and you look at them, and we present to you five beverage ads, and you see them and you look away, then we have found out you probably not that interestedin beverage ad because you don't look at them. And we have a matching algorithm to provide the best matches possible because this is dynamic. This isn't there forever. Tim Draper: And the user gets a token for looking, right? Tim Draper: So are you launching a token, or are you raising money for your business? Andreas Schemm: We're luanchign a token. And we actually have a two token model. The one token I've already described where all the metadata goes. And the other one is the one we are basically issuing. Tim Draper: Why wouldn't it be just one token? Andreas Schemm: As an advertiser, if you want to spend 50,000 on advertising, you want to get the value of 50,000. And as cryptocurrency is usually fluctuating, you don't want to get 30K or 150K. You want to get 50K. Our internal token is stable, doesn't fluctuate, and the other one, the access one, the more tokens you hold, the more access you get to our market intelligence, to reduction of transaction fees, to the possibility to advertise within our ecosystem. It's the one that is on the marketplace and it's being traded. And the more reductions they want, the more tokens they have to have. Andreas Schemm: We already have some launch partners. Now we can reach up to 40 million of gamers and we have found advertisers that have signed with us which have over 150 million dollars in advertising budget every year and as out tech is basically already there, we are very likely to issue our first use cases this year. Abishek Punia: I'm surprised the nobody as tried to put billboards or some sort of logo within games. In fact I would think that they have. Tim Draper: They are. Oh, they are. Andreas Schemm: Currently, I agree, there are solutions for that and some use cases were generated by other companies, but that's mainly static. So you put it in once, and it's there for the whole game. And that's difficult to price. If a game gets sold like 5 million times, let's say. How many people actually see the ad over there. You don't know. The developer doesn't know, and the adavertiser doesn't know. So how does he price it? The developer says well potential reach of 5 million. Advertiser says potential reach of 5000. Andreas Schemm: So with our dynamic solution, we only pay for what has actually happened. And that is a new approach. Andreas Schemm: Laser tag in Germany. I created a franchising chain and the community management and also the German laser tag league is still up and running. So my background is basically PR, community building. We of course have coders. Like with have a [inaudible 00:23:18], we have two [crosstalk 00:23:19]. Tim Draper: Are you the founder? Tim Draper: Why do you care about this? Andreas Schemm: Because I'm a gamer myself. A lot of my friends and my coworkers, we game together and we have a lot of friends, for example, in Asia and in Eastern Europe, and they cannot pay for all these triple $80 titles. So we want to make it more accessible. But not through pay to win where just the guy wins who throws in the most money or where you get interrupted and just wait for a few seconds. Abishek Punia: But then on the flip side, the banner and ad itself might cheapen the gaming experience. Andreas Schemm: So we don't want games that are there to advertise. We want ads that help with the game basically. There are even studies that have shown that in game advertising that is embedded has the highest acceptance rate with over 90% plus. So there are studies to prove that what we are doing is the correct approach. Jesse Draper: Well thank you so much. Tim Draper: Thanks for coming to Meet the Drapers. Andreas Schemm: Yeah, thank you so much. Jesse Draper: It was so nice to meet you. Andreas Schemm: I had a lot of fun and there are a few surpises. I think I should have talked a bit more about my team. But there were so many questions and they were so engaged in what we are doing that I basically got lost and forgot about it. It was really easy to talk to them because they were really involved and I was positively surprised how much they knew about in game advertising. Like that was a very specific topic but they were well prepared. Andreas Schemm: I think Tim Draper would invest in us because he is very interested in cryptocurrencies and in blockchain, and that's what we are basically enabling through our solution. 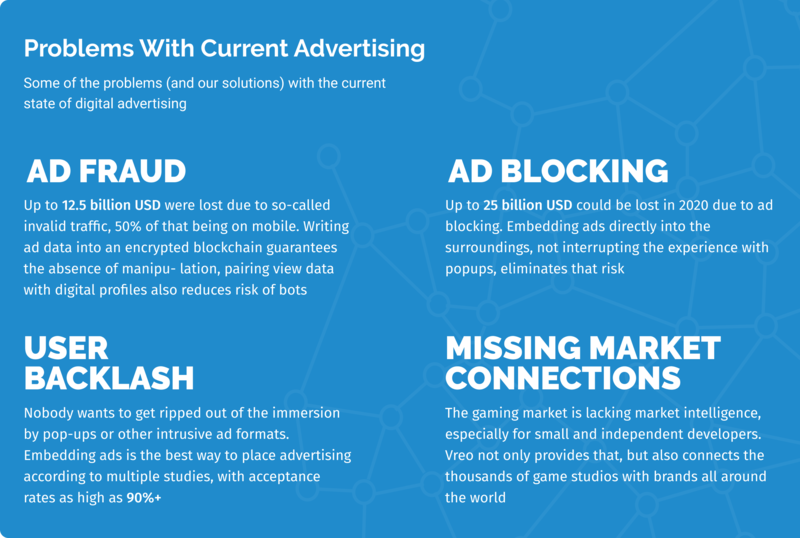 To bring blockchain to gaming and to advertising, which hasn't been done before. People should investin us because what we do is the future. Our solution enables us to basically get everybody onboard. It's a triple win solution for developers, for advertisers, and for gamers themselves. Jesse Draper: So what do we all think? Tim Draper: I liked him. I think he's into it. Jesse Draper: I liked him to. Tim Draper: He kind of has a good feel to him. Jesse Draper: He has a good vibe. Very positve guy. Tim Draper: I've seen a couple of companies where they're doing in game advertising and some that have done tokens. Sanjay Nath: I think I'm separating the, what he is trying to do in gaming from the tokens because it looks like there could be different monetization models. Abishek Punia: Well first I'm not convinced that this needs a token. At least not immediately to prove out that it works. Second, a lot of games have like a role playing element to it. So if you see like an Xbox ad in like a medieval knigth game, it's kind of weird. Tim Draper: What he's saying is, "I won't interrupt your user experience. And a good designer might be able to design in these ads and make it a lot easier." Abishek Punia: There have been a lot of successful models that have been able to monetize without advertisings at all. I feel like once games do blow up like serious, long term games do blow up, they won't use this. Sanjay Nath: I think he definitely has the background and he has the passion. Jesse Draper: Seems to have been in advertising his whole life. Sanjay Nath: I think as far as the team is concerned, we didn't get enough into the rest of the team and how he's going to execute it. If we move from the team to the market size, not sure how big the market size is and how differentiated it is. You can be based in the valley, but maybe the market is outside the US. Because he seems to understand the German market very well. He was talking about laser tag too, which is like news to me, right? Tim Draper: When he lit up, it was when he was talking about laser tag. His eyes lit up and something he did in the past instead of lighting up for something he's gonna do in the future. Jesse Draper: Let's consult the crystal ball because, I don't know, I feel like your digging. Tim Draper: VREO. I need the crystal ball for this one. Are we feeling VREO. VREO. VREO. Okay. I got something. Jesse Draper: Okay. What do you guys think? Ready? Thumbs up, thumbs down, thumbs all around. Tim Draper: Oh, that's interesting. I was the most optimistic. The reason I'm more optimistic, I think, is that this is a really big market. Jesse Draper: I don't know how big it is. That's what I couldn't figure out. Tim Draper: Gaming is growing super big. His boat might rise with the tide. Jesse Draper: Okay, well we all didn't think so. We completely disagreed. Jesse Draper: Oh yes, you. Tim Draper: ... can decide. Go to MEETTHEDRAPERS.COM and you can invest. Let's bring out our next entrepreneur, but first, let's see what's going on backstage. We are a startup Company and our business model currently focuses on research, development and market implementation rather than generating revenue. While we intend to generate revenue in the future, we cannot assure you when or if we will be able to do so. We rely on external financing to fund our operations. We anticipate, based on our current proposed plans and assumptions relating to our operations (including the timetable of, and costs associated with, new product development) that, if the Minimum Amount is raised in this Offering, it will be sufficient to satisfy our contemplated cash requirements through approximately June 2019 assuming that we do not accelerate the development of other opportunities available to us, engage in an extraordinary transaction or otherwise face unexpected events, costs or contingencies, any of which could affect our cash requirements. We expect capital outlays and operating expenditures to increase over the next several years as we expand our infrastructure, commercial operations, development activities and establish offices. Our future funding requirements will depend on many factors, including but not limited to the following: The cost of expanding our operations; The financial terms and timing of any collaborations, licensing or other arrangements into which we may enter; The rate of progress and cost of development activities; The need to respond to technological changes and increased competition; The costs of filing, prosecuting, defending and enforcing any patent claims and other intellectual property rights; The cost and delays in product development that may result from changes in regulatory requirements applicable to our products; Sales and marketing efforts to bring these new product candidates to market; Unforeseen difficulties in establishing and maintaining an effective sales and distribution network; and Lack of demand for and market acceptance of our services. We may have difficulty obtaining additional funding and we cannot assure you that additional capital will be available to us when needed, if at all, or if available, will be obtained on terms acceptable to us. If we raise additional funds by issuing additional debt securities, such debt instruments may provide for rights, preferences or privileges senior to the Securities. In addition, the terms of the debt securities issued could impose significant restrictions on our operations. If we raise additional funds through collaborations and licensing arrangements, we might be required to relinquish significant rights to our technologies or product candidates, or grant licenses on terms that are not favorable to us. If adequate funds are not available, we may have to delay, scale back, or eliminate some of our operations or our research development and commercialization activities. Under these circumstances, if the Company is unable to acquire additional capital or is required to raise it on terms that are less satisfactory than desired, it may have a material adverse effect on its financial condition. We were incorporated under the laws of the State of Delaware on August 27, 2018. Accordingly, we have no history upon which an evaluation of our prospects and future performance can be made. Our proposed operations are subject to all business risks associated with new enterprises. The likelihood of our creation of a viable business must be considered in light of the problems, expenses, difficulties, complications, and delays frequently encountered in connection with the inception of a business, operation in a competitive industry, and the continued development of advertising, promotions, and a corresponding client base. We anticipate that our operating expenses will increase for the near future. There can be no assurances that we will ever operate profitably. You should consider the Companys business, operations and prospects in light of the risks, expenses and challenges faced by an early-stage company. We may face potential difficulties in obtaining capital, which could affect the success of our business plan. We may have difficulty raising needed capital in the future as a result of, among other factors, our lack of an approved product and revenues from sales, as well as the inherent business risks associated with our company and present and future market conditions. Our business currently does not generate any sales and future sources of revenue may not be sufficient to meet our future capital requirements. We will require additional funds to execute our business strategy and conduct our operations. If adequate funds are unavailable, we may be required to delay, reduce the scope of or eliminate one or more of our services, which may materially harm our business, financial condition and results of operations. Our management team has limited experience in our industry and has not managed a business with similar risks and challenges specific to our business. A decline in the economic prospects of advertisers or the economy in general could cause current or prospective advertisers to spend less on advertising or spend their advertising dollars in other media. Advertising expenditures also could be negatively affected by (i) increasing audience fragmentation caused by increased availability of alternative forms of leisure and entertainment activities; (ii) the increased use of digital video recorders to skip advertisements; (iii) pressure from public interest groups to reduce or eliminate advertising of certain products; (iv) new laws and regulations that prohibit or restrict certain types of advertisements; and (v) natural disasters, extreme weather, acts of terrorism, political uncertainty or hostilities, because there may be uninterrupted news coverage of such events that disrupts regular ad placement. In addition, advertisers willingness to purchase advertising time from the Company may be adversely affected by a decline in users/customers/audience ratings for our content. Like others in our industry, we continue to face advanced and persistent attacks on our information infrastructure where we manage and store various proprietary information and sensitive/confidential data relating to our operations. These attacks may include sophisticated malware (viruses, worms, and other malicious software programs) and phishing emails that attack our products or otherwise exploit any security vulnerabilities. These intrusions sometimes may be zero-day malware that are difficult to identify because they are not included in the signature set of commercially available antivirus scanning programs. Experienced computer programmers and hackers may be able to penetrate our network security and misappropriate or compromise our confidential information or that of our customers or other third-parties, create system disruptions, or cause shutdowns. Additionally, sophisticated software and applications that we produce or procure from third-parties may contain defects in design or manufacture, including bugs and other problems that could unexpectedly interfere with the operation of the information infrastructure. A disruption, infiltration or failure of our information infrastructure systems or any of our data centers as a result of software or hardware malfunctions, computer viruses, cyber-attacks, employee theft or misuse, power disruptions, natural disasters or accidents could cause breaches of data security, loss of critical data and performance delays, which in turn could adversely affect our business. We face competition with respect to our services. Our competitors include major companies worldwide. Many of our competitors have significantly greater financial, technical and human resources than we have and superior expertise in research and development and marketing approved services and thus may be better equipped than us to develop and commercialize services. These competitors also compete with us in recruiting and retaining qualified personnel and acquiring technologies. Smaller or early stage companies may also prove to be significant competitors, particularly through collaborative arrangements with large and established companies. Accordingly, our competitors may commercialize products more rapidly or effectively than we are able to, which would adversely affect our competitive position, the likelihood that our services will achieve initial market acceptance and our ability to generate meaningful additional revenues from our services. We collect and store sensitive data, including intellectual property, our proprietary business information and that of our customers, business partners, and personally identifiable information of our customers and employees, in our data centers and on our networks. The secure processing, maintenance and transmission of this information is critical to our operations and business strategy. Despite our security measures, our information technology and infrastructure may be vulnerable to attacks by hackers or breached due to employee error, malfeasance or other disruptions. Any such breach could compromise our networks and the information stored there could be accessed, publicly disclosed, lost or stolen. Any such access, disclosure or other loss of information could result in legal claims or proceedings, liability under laws that protect the privacy of personal information, and regulatory penalties, disrupt our operations and the services we provide to customers, and damage our reputation, and cause a loss of confidence in our products and services, which could adversely affect our business/operating margins, revenues and competitive position. Such an event might be caused by computer hacking, computer viruses, worms and other destructive or disruptive software, cyber-attacks and other malicious activity, as well as natural disasters, power outages, terrorist attacks and similar events. Such events could have an adverse impact on us and our customers, including degradation of service, service disruption, excessive call volume to call centers and damage to our plant, equipment and data. In addition, our future results could be adversely affected due to the theft, destruction, loss, misappropriation or release of confidential customer data or intellectual property. Operational or business delays may result from the disruption of network or information systems and the subsequent remediation activities. Moreover, these events may create negative publicity resulting in reputation or brand damage with customers. Terrorist attacks and threatened attacks have from time to time materially adversely affected the demand for advertising in certain industries and/or countries, impeded business travel and have also resulted in increased safety and security costs for us and the advertising or gaming industry generally. Safety measures create delays and inconveniences and can, in particular, reduce our competitiveness against surface transportation for certain routes. Additional terrorist attacks, even if not made directly on the advertising or gaming industry, or the fear of such attacks or other hostilities, would likely have a further significant negative impact on the Company and the advertising or gaming industry. Terrorist-sponsored attacks, both foreign and domestic, could have adverse effects on our business and results of operations. These attacks could accelerate or exacerbate other advertising or gaming industry risks and also have the potential to interfere with our business by disrupting supply chains and the delivery of products to customers. In particular, the Company is dependent on Juergen R. Ostertag (Secretary), Alfred Steiof (Director and President), and Andreas Schemm (Director and Vice President). The Company has or intends to enter into employment agreements with Juergen R. Ostertag, Alfred Steiof, and Andreas Schemm although there can be no assurance that it will do so or that they will continue to be employed by the Company for a particular period of time. The loss of either Juergen R. Ostertag, Alfred Steiof, or Andreas Schemm or any member of the board of directors or executive officer could harm the Companys business, financial condition, cash flow and results of operations. The Company is dependent on Juergen R. Ostertag, Alfred Steiof, and Andreas Schemm in order to conduct its operations and execute its business plan, however, the Company has not purchased any insurance policies with respect to those individuals in the event of their death or disability. Therefore, if any of Juergen R. Ostertag, Alfred Steiof, or Andreas Schemm die or become disabled, the Company will not receive any compensation to assist with such persons absence. The loss of such person could negatively affect the Company and its operations. Significant judgment is required in determining our provision for income taxes and other tax liabilities. In the ordinary course of our business, there are many transactions and calculations where the ultimate tax determination is uncertain. Although we believe that our tax estimates are reasonable: (i) there is no assurance that the final determination of tax audits or tax disputes will not be different from what is reflected in our income tax provisions, expense amounts for non- income-based taxes and accruals and (ii) any material differences could have an adverse effect on our financial position and results of operations in the period or periods for which determination is made. While the German Ministry of Finance has declared Bitcoin to be Rechnungseinheiten (a form of private money that is recognized as a unit of account, but not recognized in the same manner as fiat currency), most regulatory bodies have not yet issued official statements regarding intention to regulate or determinations on regulation of other cryptocurrencies. Conversely, regulatory bodies in some countries such as Canada and India have declined to exercise regulatory authority when afforded the opportunity. Various foreign jurisdictions may, in the near future, adopt laws, regulations or directives that affect cryptocurrencies, particularly exchanges and service providers that fall within such jurisdictions regulatory scope. Such laws, regulations or directives may conflict with those of the United States and may negatively impact the acceptance of cryptocurrencies by users, merchants and service providers outside of the United States and may therefore impede the growth of the cryptocurrency economy. We are not able to predict the effect of any future regulatory change on the Company or cryptocurrencies, but such change could be substantial and adverse to the Company or the value of the Securities. Although currently tokens are not regulated or are lightly regulated in most countries, including the United States, one or more countries may take regulatory actions in the future that severely restricts the right to acquire, own, hold, sell or use tokens or to exchange tokens for fiat currency. Such an action may also result in the restriction of ownership, holding or trading in the Securities. Such a restriction could result in the termination and liquidation of the Company at a time that is disadvantageous to Investors. The Company may be deemed a money transmitter. To the extent that the activities of the Company cause it to be deemed a money transmitter under the regulations promulgated by FinCEN under the authority of the U.S. Bank Secrecy Act, or by any state, the Company may be required to comply with FinCEN and state regulations, including those that would mandate the Company to implement anti-money laundering programs, make certain reports to FinCEN and maintain certain records. Such additional regulatory obligations may cause the Company to incur extraordinary expenses or reduce efficiencies necessary for the visibility of the token, possibly affecting an investment in the Securities in a material and adverse manner. The video game industry is subject to extensive legislation and regulation at the federal and state levels. Many aspects of such regulation are currently the subject of judicial and administrative proceedings, legislative and administrative proposals, and lobbying efforts by us and our competitors. Legislation under consideration could entirely rewrite our principal regulatory statute, and the U.S. Federal Communications Commission (FCC) and/or Congress may attempt to change the classification of or change the way we are regulated and/or change the framework under which broadcast signals are carried, remove the copyright compulsory license and changing rights and obligations of our competitors. We expect that court actions and regulatory proceedings will continue to refine our rights and obligations under applicable federal, state and local laws, which cannot be predicted. Modifications to existing requirements or imposition of new requirements or limitations could have an adverse impact on our business. The cable/media/television/internet/entertainment industry is subject to extensive legislation and regulation at the federal and local levels and, in some instances, at the state level. Additionally, our in-game advertisement services might also be subject to regulation, and additional regulation is under consideration. Many aspects of such regulation are currently the subject of judicial and administrative proceedings, legislative and administrative proposals, and lobbying efforts by us and our competitors. Legislation under consideration could entirely rewrite our principal regulatory statute, and the FCC and/or Congress may attempt to change the classification of or change the way that our in-game advertising services are regulated and/or change the framework under which broadcast signals are carried, remove the copyright compulsory license and changing rights and obligations of our competitors. We expect that court actions and regulatory proceedings will continue to refine our rights and obligations under applicable federal, state and local laws, which cannot be predicted. Modifications to existing requirements or imposition of new requirements or limitations could have an adverse impact on our business. On 26 February 2015, the United States FCC ruled in favor of net neutrality by reclassifying Internet broadband access as a telecommunications service and thus applying Title II (common carrier) of the Communications Act of 1934 to Internet service providers. This new classification could slow or halt the adoption of our in-game advertising services. Therefore the FCC ruling and its consequences could adversely affect our business and results of operations. Expenditures by advertisers tend to be cyclical and have become less predictable in recent years, reflecting domestic and global economic conditions. If the economic prospects of advertisers or current economic conditions worsen, such conditions could alter current or prospective advertisers spending priorities. In particular, advertisers in certain industries that are more susceptible to weakness in domestic and global economic conditions, such as beauty, fashion and retail and food, account for a significant portion of our advertising revenues, and weakness in these industries could have a disproportionate negative impact on our advertising revenues. Declines in consumer spending on advertisers products due to weak economic conditions could also indirectly negatively impact our advertising revenues, as advertisers may not perceive as much value from advertising if consumers are purchasing fewer of their products or services. As a result, our advertising revenues are less predictable. Technology companies, including many of the Companys competitors, frequently enter into litigation based on allegations of patent infringement or other violations of intellectual property rights. In addition, patent holding companies seek to monetize patents they have purchased or otherwise obtained. As the Company grows, the intellectual property rights claims against it will likely increase. The Company intends to vigorously defend infringement actions in court and before the U.S. International Trade Commission. The plaintiffs in these actions frequently seek injunctions and substantial damages. Regardless of the scope or validity of such patents or other intellectual property rights, or the merits of any claims by potential or actual litigants, the Company may have to engage in protracted litigation. If the Company is found to infringe one or more patents or other intellectual property rights, regardless of whether it can develop non- infringing technology, it may be required to pay substantial damages or royalties to a third-party, or it may be subject to a temporary or permanent injunction prohibiting the Company from marketing or selling certain products. In certain cases, the Company may consider the desirability of entering into licensing agreements, although no assurance can be given that such licenses can be obtained on acceptable terms or that litigation will not occur. These licenses may also significantly increase the Companys operating expenses. Regardless of the merit of particular claims, litigation may be expensive, time-consuming, disruptive to the Companys operations and distracting to management. In recognition of these considerations, the Company may enter into arrangements to settle litigation. If one or more legal matters were resolved against the Companys consolidated financial statements for that reporting period could be materially adversely affected. Further, such an outcome could result in significant compensatory, punitive or trebled monetary damages, disgorgement of revenue or profits, remedial corporate measures or injunctive relief against the Company that could adversely affect its financial condition and results of operations. There is no guarantee that the Security will be paid back in Tokens of the issuing company or its affiliate. Per the terms of the DPA, if the Company cannot produce or acquire Tokens, the only means to pay back the debt is in cash. As Tokens may be considered securities, there is a substantial risk to there being regulatory risks that prevent the acquisition or distribution of Tokens. While the Company believes any Tokens used to fulfill its debt obligations would be considered non-securities assets, and therefore freely tradeable on the open market, there is a risk that regulators may deem Tokens securities, therefore substantially limiting their liquidity and therefore the Companys ability to fulfill the terms of the DPA with them. If the Securities are paid back in Tokens, it is unclear whether or not these Tokens will be freely tradable. At the moment, there is no definitive regulatory position on whether blockchain Tokens are securities or utility devices. While the Company believes any Tokens used to fulfill its debt obligations would be considered non-securities assets, and therefore freely tradeable on the open market, there is a risk that regulators may deem Tokens securities, therefore substantially limiting their liquidity. Current and future legislation, CFTC and SEC rulemaking and other regulatory developments may impact the manner in which Tokens are treated for classification and clearing purposes. In particular, Tokens may not be excluded from the definition of commodity future or security by such future CFTC and SEC rulemaking, respectively. As of the date of this Form C, the Company is not aware of any rules that have been proposed to regulate Tokens as commodity futures or securities. The Company cannot be certain as to how future regulatory developments will impact the treatment of Tokens under the law. Such additional regulations may result in additional expenses of the Company thereby materially and adversely impacting the Securities and the Tokens. The Company is aware that the SEC has determined that certain Tokens can be considered Securities, meaning the sale, transfer and use of them may be substantially limited and present regulatory risks and burdens to both the Company as well as to any Investor of Securities that is repaid in Tokens instead of cash. Regulatory risks associated with the issuers operation, with the potential treatment of digital assets as securities, and with unforeseen legal restrictions on debt repayments using digital assets as a novel legal construct. The offering is a debt offering by a non-investment service company under Regulation Crowdfunding. However, there is a regulatory risk associated with (i) the offering registration and exemption eligibility; (ii) redistribution of any assets that constitute securities; (iii) any activities that are deemed investment activities, investment advisory activities, and/or brokering or dealing activities by the issuer. Operating and legal expenses incurred by the issuer to address, challenge and resolve any unfavorable regulatory position may be substantial and may result in the issuers insolvency. Digital tokens and currencies may or may not meet the definition of securities under US securities law depending on specific facts pertaining to the relevant blockchain project and token uses. There is a risk that the token assets useable to repay the debt obligations under the terms of the offering constitutes securities, in which case the issuer and its affiliates and partners may be restricted or even prohibited from delivering or facilitating the relevant token repayments. Investors and lenders should carefully consult regulatory guidelines on crypto-currencies and crypto investing prior to participating in this offering. In the event the Company is planning on acquiring Tokens from its parent company or another affiliate, the above-mentioned risks may make the acquisition of those Tokens impossible or only possible with a significant regulatory burden. Investors in this DPA should be aware that the delivery of Tokens pursuant to the DPA presents numerous unknowns due to the novelty of the DPA. The DPAs (Debt Payable by Assets) will not be freely tradable under federal law until one year from the initial purchase date. Although the DPAs may be tradable under federal securities law, state securities regulations may apply and each Investor should consult with his or her attorney. You should be aware of the long-term nature of this investment. There is not now and likely will not be a public market for the DPAs. Because the DPAs have not been registered under the Securities Act or under the securities laws of any state or non-United States jurisdiction, the DPAs have transfer restrictions and cannot be resold in the United States except pursuant to Rule 501 of Regulation CF. It is not currently contemplated that registration under the Securities Act or other securities laws will be effected. Limitations on the transfer of the DPAs may also adversely affect the price that you might be able to obtain for the DPAs in a private sale. Investors should be aware of the long-term nature of their investment in the Company. Each Investor in this Offering will be required to represent that it is purchasing the Securities for its own account, for investment purposes and not with a view to resale or distribution thereof. There is no guarantee of an Investor receiving a return on his or her investment. A majority of the Company is owned by an affiliate of the Company. Prior to the Offering the Companys current owners of 20% or more beneficially own up to 100% of the Company. Subject to any fiduciary duties owed to our other owners or investors under Delaware law, these owners may be able to exercise significant influence over matters requiring owner approval, including the election of directors or managers and approval of significant Company transactions, and will have significant control over the Companys management and policies. Some of these persons may have interests that are different from yours. The concentration of ownership could delay or prevent a change in control of the Company or otherwise discourage a potential acquirer from attempting to obtain control of the Company, which in turn could reduce the price potential investors are willing to pay for the Company. In addition, these owners could use their voting influence to maintain the Companys existing management, delay or prevent changes in control of the Company, or support or reject other management and board proposals that are subject to owner approval. The Company may not be able to competently provide the services it has contracted with its parent company to provide. The Company has a limited operating history and is providing novel and untested Services to its parent company as well as other companies that contract for its services. If the company is unable to provide the Services it provides competently or proficiently, the Company may lose its contracts and therefore its source of income. The Company has the right to limit individual investors commitment amount based on the Companys determination of an Investors sophistication. The Company may prevent Investors from committing more than a certain amount to this Offering based on the Companys belief of the Investors sophistication and ability to assume the risk of the investment. This means that your desired investment amount may be limited or lowered based solely on the Companys determination and not in line with relevant investment limits set forth by the Regulation Crowdfunding rules. This also means that other Investors may receive larger allocations of the Offering based solely on the Companys determination. Investor is not an owner of the Company and has no decision-making rights or vote. In the event the Company elects or is required under the terms of the Securities to make a repayment of the Debt Amount (in part or in full) by Tokens, and you fail to provide the Company within fourteen (14) calendar days a network address and other information necessary to facilitate a distribution of digital blockchain tokens, the Company may in its discretion effectuate such repayment in cash and without any interest on such full or partial Debt Amount, without any further obligations. You are responsible for the accuracy of information provided. Providing inaccurate digital key or public address for purposes of token transfer often results in irreversible loss, which nonetheless would constitute satisfaction of the Companys debt repayment obligations. The provisions in the Securities will not necessarily afford you protection in the event of a transaction that may adversely affect you, including a reorganization, restructuring, merger or other similar transaction involving us. These transactions may not involve a liquidation event or change of control which would trigger these protective provisions. Except in certain circumstances, the Securities will not permit the holders of the Securities to require us to repurchase the Securities in the event of a takeover, recapitalization or similar transaction. In the event the Securities are repaid in Tokens, to the extent that future regulatory actions or policies limit the ability to exchange Tokens or utilize them for payments, the demand for Tokens will decrease. New regulations may make it more difficult to acquire and/or use Tokens. Furthermore, regulatory actions may limit the ability of end-users to convert Tokens into fiat currency (e.g., U.S. Dollars) or use Tokens to pay for goods and services. Such regulatory actions or policies would negatively affect our business and decrease the value of the Securities. Therefore, if the Company pays back the Security in Tokens, instead of cash, this may prove to be an illiquid and potentially worthless repayment method. In the event the Securities are repaid in Tokens, it may be illegal now, or in the future, to acquire, own, hold, sell or use Tokens in one or more countries. Although currently Tokens are not regulated or are lightly regulated in most countries, including the United States, one or more countries may take regulatory actions in the future that severely restricts the right to acquire, own, hold, sell or use Tokens or to exchange Tokens for fiat currency. Such an action may also result in the restriction of ownership, holding or trading in the Securities. Such a restriction could result in the termination and liquidation of the Company at a time that is disadvantageous to Investors, or may adversely affect an investment in the Company. Investors who are not interested in a cash repayment should make serious considerations regarding their desire to invest in this Security, as Tokens may never be available to you, meaning that a cash return may be your only option. In the event the Company is unable to acquire Tokens from its parent company, due to the fact that the parent company never issues Tokens, or a regulatory concerns prevents the ultimate sale in distribution of Tokens, the only assets by which the debt instrument utilized in this offering can be paid back with is cash, based on the interest rates described in the agreement. This means, you should only enter this offering if you are willing to accept a return of investment by the company in the cash assets it has. Our ability to secure Tokens from our parent company is dependent on the parent companys successful creation of a Token. The Company cannot control whether or not our parent company will successfully create Tokens. This means, you should only enter this offering if you are willing to accept a return of investment by the company in the cash assets it has available, or no return at all in the event of the Companys insolvency. The United States tax rules applicable to an investment in the Securities, Tokens, and cryptocurrencies generally are uncertain and the tax consequences to an investor of an investment in the Securities could differ from the investors expectations. The tax rules applicable to the Securities, specifically if the Security is repaid using Tokens instead of cash, Tokens, and cryptocurrencies are complex, and no statutory, judicial, or administrative authority directly addresses the characterization of an investment in the Companys securities. The tax consequences to an Investor of the Securities could differ from the Investors expectations. Investors should consult their own tax advisors. Neither the Company nor counsel to the Company will render any tax opinion or advice with respect to the offering of the Tokens. Accordingly, each Investor should discuss the tax considerations of an investment in the Tokens as it relates to him or her with his or her own tax advisor. Your ability to redeem the Security we are issuing for cash will not provide a full return of capital. The Security being offered has features which allow investors to redeem it for partial repayment or their principal amount. Investors should not consider this a safe investment because (i) the Company is not obligated to return 100% of principal; and (ii) there can be no guarantee there will be sufficient assets on hand to return funds. The term of the DPA and all the rights to receive Tokens from it, will expire on the three (3) year anniversary of the its issuance. If the Company is not able to acquire Tokens within 3 years of the issuance of the debt instrument, it will pay investors back with all remaining cash on hand, with interest due pursuant to the terms of the DPA. This means, Investors upside is potentially capped at the rate of return described in the DPA. Investors should be willing to accept a hard cap on their possible gain from investment. The DPA does not accrue cash interest for six (6) months from the date of issuance. If the Company is able to acquire Tokens before six (6) months from the date of issuance of the Securities, no cash interest will accrue. This means that if the company were to liquidate its assets and pay back the DPA you would realize no return on your investment. If the DPA is repaid in Tokens, the price of the Tokens may be set arbitrarily by the Company. This means that the value of this DPA relative to the cost of Tokens cannot be determined or guaranteed. In the event the DPA is repaid in Tokens, the asset interest rates value cannot be determined at the time the DPA is issued. You should consult the full terms of the DPA and the Companys offering before determining whether it is appropriate for you. Investor redemption right may cause the Company to become insolvent, although you may not be seeking or receive redemption of the Securities. Investors have the right to receive of their respective investments amount in cash within the first six (6) months upon request. If a significant number of investors request such redemptions (which may or may not include you) and the Company does not have the adequate amount of cash on hand, the company will be unable to pay such claims and may be forced to refinance, raise additional capital or become insolvent and seek bankruptcy proceedings, in which case you may lose all of your investment. The Company may use other methods of distribution that might allow other investors to purchase or receive Tokens on better terms than you receive under the DPA or that might dilute the value of the Tokens. In addition to the Offering, the Company may also distribute the Tokens through the following mechanisms, each of which could result in both a decrease in the value of the Tokens and in certain Investors and other recipients purchasing them on more advantageous terms: Additional Direct Sales. In the event that the Company determines that the Tokens are reasonably treated as non-securities, the Company may sell additional Tokens directly. Sale of Additional DPAs. The Company may also issue additional DPAs on better terms than the DPA you are purchasing. Mining. Tokens may also be mined in the future by users who engage in building the network blockchain after it is live. Sales and Giveaways to Other Employees. The Company anticipates providing the Tokens as a form of bonus or compensation to employees, either for free or for a reduced price. Giveaways. To encourage use and development of the network, the Company may provide Tokens as rewards to users of the network for certain activities; the Company may provide Tokens as rewards in circumstances where it believes the Tokens will not be treated as securities. Some of these sales and distributions may occur at a substantial discount to the amount paid by Investors in the DPAs and/or may result in other terms that are more advantageous to other investors and recipients. In addition, the Company may sponsor other types of offerings or distributions of Tokens in the future, which may further dilute the value of the Tokens or be offered on more advantageous terms. The Investors ability to redeem the Security we are issuing for cash prior to the maturity date may not provide a full return of capital and may cause the insolvency of the Company. The DPA has features which allow each Investor to redeem it prior to the second anniversary of the issuance date of the Security for partial repayment of approximately of the net proceeds to the Company (after the payment of Intermediary expenses) from the Investors subscription (the Early Redemption Right). Investors should be aware that (i) the Company is not obligated to return one-hundred (100) percent of principal in the event that the Investor chooses to exercise his Early Repayment Right; (ii) there can be no guarantee there will be sufficient assets on hand to return funds despite the use of an escrow account to secure approximately percent of the net proceeds of this Offering and (iii) in the event that the Company requests a Capital Call that an Investor chooses not to opt out of, the Early Repayment Right will be extinguished. If a significant number of Investors request such redemptions (which may or may not include you) and the Company does not have the adequate amount of cash on hand, the company will be unable to pay such claims and may be forced to refinance, raise additional capital or become insolvent and seek bankruptcy proceedings, in which case you may lose all of your investment. The Company has the right to call for the capital held in escrow between the first- and second-year anniversary of the closing of the Offering. This may ultimately result in an accelerated loss in your capital, should you choose to not recall your funds held in escrow before the Companys Capital Call comes into effect. If the escrow is released to the Company, this may result in the use of the cash by the Company and the likelihood of your repayment in cash could be greatly reduced. The terms of the DPA may hamper the Companys ability to use cash due to the use of an escrow account which will reduce the free cash available to the Company. The Security being offered has a feature which requires the Company to retain of the net proceeds to the Company of this Offering in an escrow account monitored by Republic. As a substantial amount of the monies raised in this Offering will not be useable by the Company, whether as a surety for other debt or for payments, this term may hurt the Companys operations. As Investors have right to request a return of the net proceeds to the Company from the Investors subscription, the value of this escrow account may decrease over time. The Company will have the ability to request the release of all funds in the escrow account, after the first anniversary of the issuance of this Security but before the second anniversary of said issuance (the Capital Call). However, the Investors will have the ability to opt-out of the Capital Call, resulting in the Company receiving either a substantially reduced amount of capital from the escrow account or none at all, possibly leading to the Companys insolvency or the need to raise more funds. Regulatory risks associated with the issuers operation, with the potential treatment of digital assets as securities, and with unforeseen legal restrictions on debt repayments using digital assets is a novel legal construct. The Offering is an offering of debt securities by a non-investment service company under Regulation Crowdfunding. However, there is a regulatory risk associated with (i) the offering registration and exemption eligibility; (ii) redistribution of any assets that constitute securities; (iii) any activities that are deemed investment activities, investment advisory activities, and/or brokering or dealing activities by the issuer. Operating and legal expenses incurred by the Company to address, challenge and resolve any unfavorable regulatory position may be substantial and may result in the Companys insolvency. Digital tokens and currencies may meet the definition of securities under US securities law depending on specific facts pertaining to the relevant blockchain project and token uses. There is a risk that the Tokens useable to repay the debt obligations under the terms of the Offering constitutes securities, in which case the Company and its affiliates and partners may be restricted or even prohibited from delivering or facilitating the relevant token repayments. Investors should carefully consult regulatory guidelines on cryptocurrencies and crypto investing prior to participating in this offering. I heard it from Ray Blanco, Agora Financial. Not a big fan of being held hostage to adds in games.